Vasyl Lomachenko, according to ESPN.com, is the No. 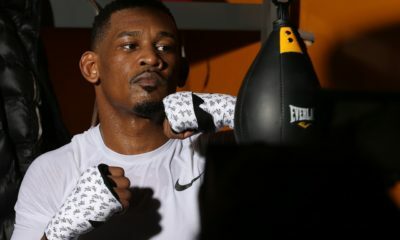 1 rated fighter in the world and is a few weeks away from an April 12 assignment against Anthony Crolla in defense of the WBA and WBO lightweight titles. Lomachenko, (12-1, 9KO) returns to California for a fight for the third time in his career when he faces former lightweight champion Crolla at the Staples Center in Los Angeles, California. ESPN will televise. 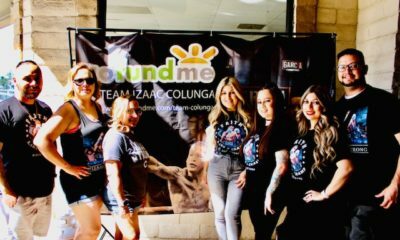 “Los Angeles boxing fans are passionate and knowledgeable, and I look forward to putting on a spectacular show for them at Staples Center. “Crolla is my mandatory challenger, and I like that he always comes to fight. 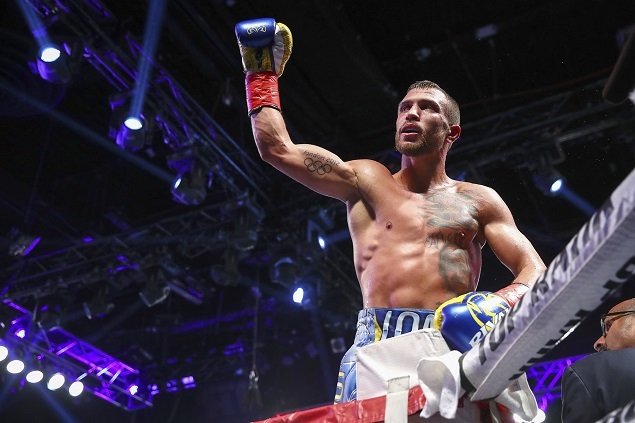 He’s going to make the most of this opportunity,” Lomachenko said. Crolla, (34-6-3, 13KO) held the WBA title in 2015 and 2016 and is himself excited to fight in the City of Angels. Crolla has had only one other fight in the United States, that coming in 2011 at the MGM Grand in Las Vegas. “I cannot wait for this. These are the fights you are in the sport for,” Crolla said. The live ESPN telecast begins at 5:00 PM/PT excusively on ESPN+.